Itineraries, outdoor activities and events for travelers to the Great Smoky Mountains of North Carolina, including the Blue Ridge Parkway, Sylva, Dillsboro, Cashiers, Glenville, Highlands, Murphy, Andrews, Robbinsville, Bryson City, and Cherokee. Balsam Lake is a great warmer-weather spot to canoe, kayak or fish, and a year round opportunity to walk the paths. The area is also a special access point for people with mobility issues. Handicap accessible paths and fishing piers make it one of the few places like it in the region that is suitable for all anglers of all abilities. A Recreation Day Use Area near the 8-acre Balsam Lake offers picnic shelter and vault toilet. Non-motorized boats are permitted. The fishing piers, trail and toilet are accessible. Graham County, North Carolina, is home to 4 vibrant outdoorsy towns, including Robbinsville (voted #2 in the Best Outdoor Towns by Blue Ridge Outdoors readers), Fontana Dam, Lake Santeetlah, and Stecoah. 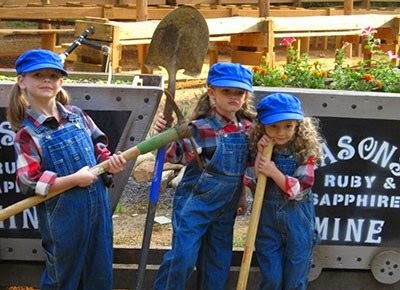 Enjoy these family-friendly activities in the Great Smoky Mountains. Taste wine with 10 area vineyards while strolling inside and around the Square to visit with local artisans and businesses. Specialty foods will be available for purchase to enjoy with a variety of wines. A concert with Susan Riley & the Junction Band starts at 7 PM. Watch for updates at www.cccra-nc.org or call 828-389-2121 for more details. 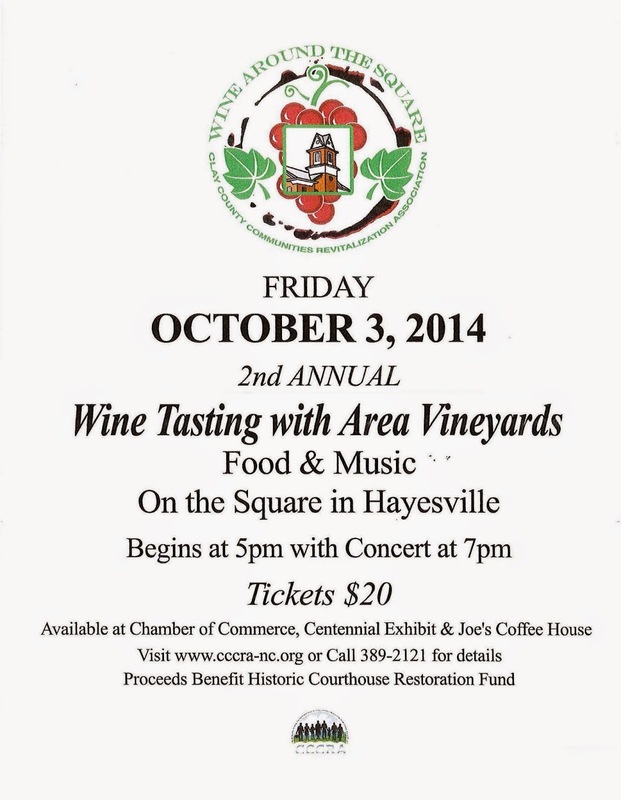 Proceeds benefit the Historic Courthouse Resotration Fund. Sponsored by Clay County Communities Revitalization Association. "There is a great human story" of Great Smoky Mountains National Park, according to Ken Burns, the Emmy award-winning filmmaker. As co-creator of the PBS series America's Best Idea: The National Parks, Burns and his team spent over six years filming in national parks across the United States. Burns sat down with USA TODAY and shared the secrets of Great Smoky Mountains and nine other national parks for a special 10-part series, Secrets of the National Parks. 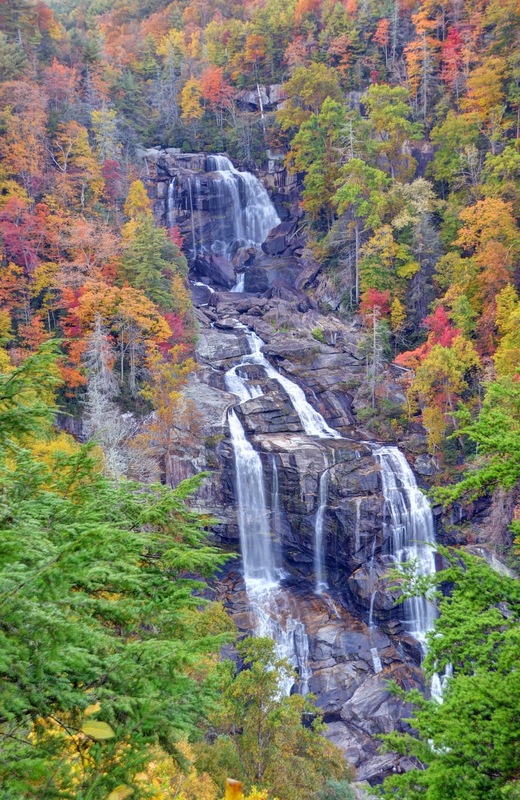 Must-See Waterfall this Fall: Whitewater Falls, the highest waterfall east of the Rockies, falling 411 feet! The walkway to this waterfall viewing area is 1/4 mile and paved, making easy access for wheelchairs and strollers. The walkway begins at the end of the parking lot. A lower overlook with an even better view is located at the bottom of 154 wooden steps. There is a $2 cash fee per person, so be prepared to pay. To get there, travel south on 107 out of Cashiers NC, cross the SC/NC state line. Turn left (E) on SC 413. Continue for 2.3 miles until it dead-ends at SC 130. Turn left (N) on SC 130. Continue for 1.2 miles. After passing Nantahala National Forest, Whitewater Falls sign, turn right into parking lot. A guide to fishing in the NC Smokies. Great Smokies Fishing includes a map and descriptions of 26 places to fish for trout, bass, muskie, walleye and many other species near Bryson City, the Great Smoky Mountains National Park and the Cherokee Indian Reservation.